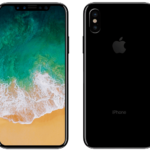 The current news suggest that the new iPhones will be released on Tuesday September 10th, 2013 in San Francisco, California, then 10 days later Apple will announce the phones in Japan and Greece according to news sources in those countries. 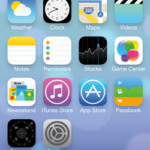 The iPhone 5S is the next step above the current 5. It is rumored to have a NFC reader, fingerprint reader included in the home button, 4 inch Sharp or LG IGZO (indium gallium zinc oxide) display, 12 megapixel rear camera and dual LED flash. Apple bought another company to help improve its product lineup. AuthenTec’s fingerprint recognition technology will power the biometric fingerprint scanner in the iPhone 5S. Internally, it’s supposed to have 2 gigs of RAM, a higher clocked A6 processor, improved quad core graphics chip and a slightly bigger battery. These models are expected to have 64 and 128GB storage options. iOS 7 will have a “self destruct” option that gives the owner the option to send a command to their lost phone to make it become a paperweight. On a cosmetic note, Apple is adding a champagne or “gold” iPhone 5S to the black and white models. The phone will have the white face with a gold toned back and edges. This new iPhone cosmetic option fits in with the rumored all white plastic iPhone 5C. 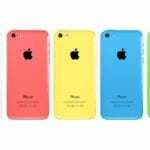 The iPhone 5C, for “Color” or “Cost” will be based on the current iPhone except that it will cost much less because it will be a mostly plastic iPhone. Most pictures of the iPhone 5C have been all white but other colors including blue, green, red, orange, black and grey. Where the current iPhone body has metal, the 5C will have plastic. The internal components seem to be almost identical to the current iPhone 5, just the shell of the phone will be less expensive to produce. 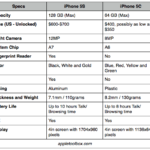 The build quality and materials used in the current iPhone are expensive which justifies the high cost. These phones will have 16 and 32GB storage options. The iPhone 5C is rumored to be a “budget” iPhone priced at $400-500 to compete with the lowest priced Android phones. Price wise, it’s supposed to cost half of what a current iPhone 5 which can be as much as $849.00, so offering the 5C as low as $399 makes a lot of sense for Apple. This is the best of the information we have available so far. We don’t have long to wait to see what Apple really has been working on for the new iPhone. New iPhone rumors: What is true?